This ''Venice'' model Townhome is an end unit that's move in ready! All appliances convey including the washer and dryer! Kitchen includes the refrigerator, granite counter tops and tile flooring. The large master suite includes tiled shower and double vanities with ample space! the 2 additional bedrooms have large closets for additional storage! Come and enjoy the Oakleaf lifestyle which includes 2 multi million dollar aquatic parks, sport fields, indoor exercise rooms, basketball courts, tennis courts and more! 2 elementary, junior high and high school all within Oakleaf Plantation! 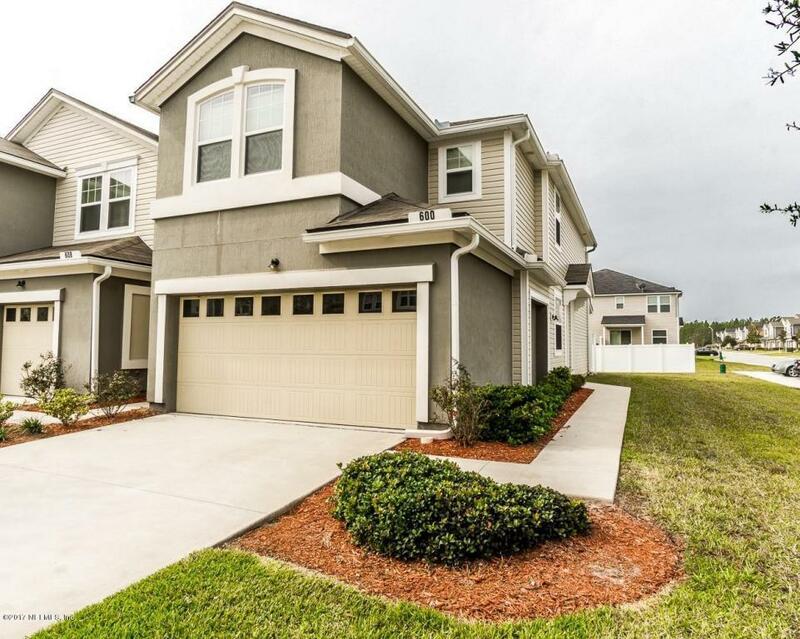 Close to shopping, 20 mins to NAS Jax, and 25 Mins to Downtown.